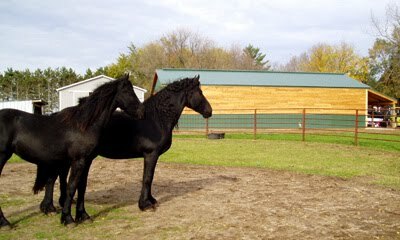 Friesian Stable: Welcome to Friesian Stable! Welcome to the new FriesianStable.com website! We have upgraded to a new layout which will allow more frequent updates, incorporate our YouTube videos, post more pictures, and let our visitors know about our new babies! For updates, be sure to "Like" us on Facebook, subscribe to our news feed, and share us with your friends!